Information about items that residents of the Rockhampton Regional District in Central Queensland can want to buy. Used ripper one or two tyne. 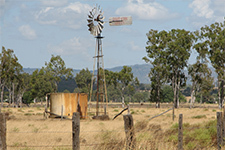 Anyone residing in Central Queensland wishing to connect with the residents of Alton Downs, Balcomba, Boomer Range, Bushley, Calioran, Canoona, Dalma, Garnant, Glenavon, Glenroy, Gracemere, Kabra, Kalapa, Lion Mountain, Morinish, Mount Carpenter, Native Cat Range, Nine Mile, Pink Lily, Prospect, Redbank, Ridgelands, Round Mountain, South Yaamba, Stanwell, Sugarloaf Mountain, The Lookout, Waroula, Westwood, Woodville, Wycarbah or anyone residing in the Rockhampton regional district can have their information included.